Spring has sprung... we think? Outside may tell a different story but inside our Floral Shop & Greenhouses, spring flowers are blooming and filling the air! Easter is early this year and our Easter Bunny will be helping us out in delivering your floral orders but you need to get those orders in soon... he's only helping us on April 2nd and April 3rd because he needs to get ready for Easter Sunday. 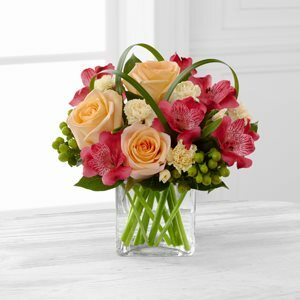 Potratz has a large selection of Easter Lilies, Hyacinths, Tulips, Daffodils, Hydrangeas & Primrose that can be made into a beautiful mixed basket or see one of our experienced Floral Designers for a gorgeous fresh floral arrangement.